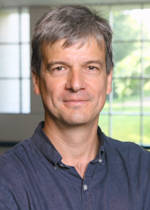 News > 2016 > L’Actualité économique award: Congratulations to Professor Daniel Parent! L’Actualité économique award: Congratulations to Professor Daniel Parent! Full Professor Daniel Parent (Applied Economics) received the award for the best paper published between 2013 and 2015 in L’Actualité économique, at the annual congress of the Société canadienne de science économique (SCSE). the paper uses US and Canadian census data to compare the education and school attendance rates of French Quebeckers with those of descendants of the same age of Quebeckers who earlier emigrated to the United States. L’Actualité économique is a quarterly French-language scientific journal devoted to sharing advances in economics, published by HEC Montréal and the SCSE. Daniel Parent has been a professor at the School since 2010, and Associate Editor of the Journal of Labor Economics since 2008. He holds a PhD in Economics from the Université de Montréal and an MA in Economics from Université Laval. He specializes in labour economics.